The checklist encourages you to look at the key components of your business value chain and rank your core expertise in each of them. 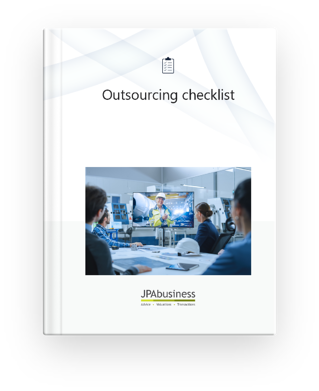 For any of these where you rate 1 or 2, consider and explore opportunities to use an outsourcing partner and formally document the expectations of both parties regarding what’s to be provided when, and for how much. If your situation precludes that sort of service agreement and you can’t guarantee a sufficient level of consistent delivery and predictability (i.e. a substitute for direct ‘control’) then that's a good benchmark to indicate that particular activity may not be right for outsourcing. Contact the business advisory team at JPAbusiness on 02 6360 0360 if you need advice or support finding the right option for your business.